Emeril Lagasse (above left) is a newbie, while the Grand Tasting has a new home at the Food Network New York City Wine & Food Festival. 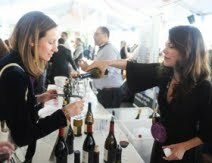 Photos courtesy of Food Network New York City Wine & Food Festival. 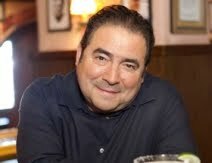 For its fourth installment the Food Network New York City Wine & Food Festival has nabbed none other than Emeril Lagasse. It was inevitable. Himself makes his festival debut with his own Macy’s Lounge storefront at Chelsea Market AfterDark, where according to the pr, he is planning something memorable. One can imagine that Chelsea Market eateries Jacques Torres Chocolates, L’arte del Gelato and Dickson’s Farmstand will figure in the mix of “delicious bites and seasonal goodies” that EL promises. Chelsea Market AfterDark is the big attraction of Day 1 of the sponsor-heavy festival, on tap a week earlier this year, from 29 Sept. through 2 Oct. The centerpiece of the last two days is the Grand Tasting. It’s like Chelsea Market AfterDark, only larger, attracting a dizzying number of restaurants, wine&spirit purveyors, exhibitors and a few sundry others. All at the Grand Tasting is designed to whet the appetite, wet the whistle and make life easier in the kitchen with gadgets that you were able to live without – until now. Whoopi Goldberg (near right) has some big shoes to fill in burger heaven, while others will have their hands full at a sushi seminar. Among the restaurants onboard is Armani Ristorante. Will envoy and chef Roberto Deiaco prepare Polipo (Octopus Sautéed with Potatoes, Green Beans, Cherry Tomatoes and Olives) or skew closer to tradition with, say, Pennette di Kamut (Kamut Pennette Pasta in a Creamy Sauce with Sautéed Vegetables)? In the exhibitor category is Blue Print Cleanse, which will happily advise those who are stuffed and hungry for a cleansing. The main branding message is that Blue Print Cleanse promises to meet you where you are rather than foisting on a body a one-size-fits-all formula for going off solid food. 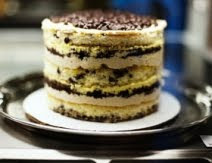 For the first time in New York, the Grand Tasting borrows a page from the Miami festival by offering cooking demonstrations, attracting some A-list talent including, Alton Brown, Anne Burrell, The Fabulous Beekman Boys and Bobby Flay. The event also moves to a larger, grander, more picturesque venue in Pier 57. Lest one forget in all of the eating and drinking, the Food Network New York City Wine & Food Festival is a fundraiser for Food Bank For New York City and Share Our Strength, two agencies dedicated to eradicating hunger. Last year the festival pulled in more than $1.2 million. 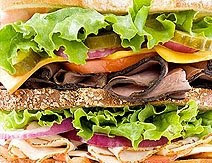 A tribute to the sandwich (left) is nearly as special as the banquet that Ching-He Huang will host. Organizers count on marquee names like EL to attract the thousands willing to part with $195 for the Grand Tasting or $25 for Pancake Party with Clinton St. Baking Co! Obligingly, many of the Food Network stars turn out to cook, sign books and cajole the crowds. Paula Deen and Giada de Laurentiis are warming up their signing hand. GdeL is also back to host San Pellegrino's Meatball Madness and so is defending champion Donatella Arpaia (Mia Dona). 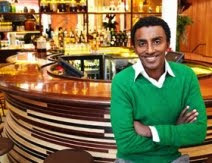 Another busy host is Marcus Samuelsson, who with an assist in the kitchen from chefs Andrea Reusing (Lantern) and Hedy Goldsmith (Michael’s Genuine Food & Drink), receives guests for “Red Rooster Dinner at his new Harlem eatery. No specifics but the focal point of the three-course meal will be food stuffs from local farmers and artisanal food prep methods. One superstar name missing from this year’s festival is Rachael Ray. What is the Blue Moon Burger Bash to do about a host? Find another, of course. An intense search ensued and the brains in the kitchen came up with whoopee! 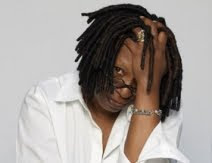 – that is Whoopi Goldberg! 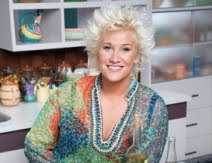 Anne Burrell (near right) rocks and, bowls but will leave the frying to others. Over four days there is much to chew on, including themed tastings of American cheese, Godiva chocolates, Chinese wedding banquet offerings (a new event presided over by Ching-He Huang) as well as a Perrier-Jouët 200th anniversary seminar and tasting of several vintages. Carts in the Parc is back with street meat and other fare. It is sponsored by The New York Times Company, as is several TimesTalks programs. An alliterative TimesTalks is The A List: April Bloomfield, Anne Burrell, Alex Guarnaschelli & Anito Lo. The four chefs jaw about what it's like to be them, appearing on Food Network shows and working with masters such as Mario Batali and so forth. 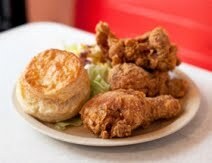 Dishing about food is the raison d'être of several panel discussions. Dining Sustainably in New York Restaurants considers such burning questions as what exactly is the meaning of sustainable, the benefits of eating in a sustainable restaurant and why give a fig. Bringing down the curtain on the whole shebang is another crowd-pleaser in Guy's Garage: The Festival Closing Party hosted by Guy Fieri. He's the very same who skyrocketed to fame on the strength of his win as "The Next Food Network Star" in its first season. Jeans, T-shirts and beer aplenty. Marcus Samuelsson (near left) has a lot to crow about just as pastry chef Christina Tosi does over her delectable concoctions. Last but not least (well, yes, in a manner of speaking) are some freebies around the Food Network New York City Wine & Food Festival. Consider the Illy Park Welcome Center. Here, visitors have various options: purchase tickets, obtain general information, attend book signings and drink free coffee – guess which brand? 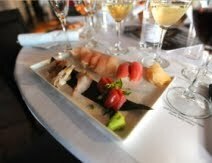 Visit http://www.nycwineandfoodfestival.com/ to learn more about the Food Network New York City Wine & Food Festival, including ticket information, schedule and venues. Visit http://www.foodbanknyc.org/ to learn more about the Food Bank For New York City. Visit http://http://www.strength.org/ to learn more about Share Our Strength.